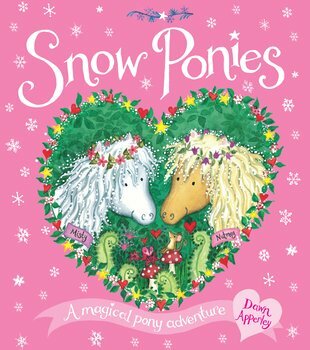 If you love Princess Evie, now discover Snow Ponies: a dreamy and magical Christmas pick. When Misty and Nutmeg find a little lost star, these brave snow ponies decide to take him home. Their journey takes them past candyfloss clouds and shimmering icicles, right to the top of a snowy mountain. Can they get the star home before night falls? His family need him to help light up the sky! So snuggly, so magical: we can’t imagine a nicer bedtime book to send you off into the land of dreams.